Counting to 10 is fun and easy! Count to 1, then add one more. 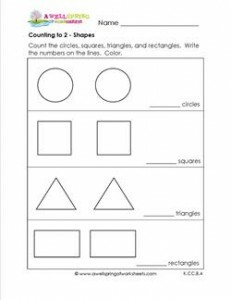 I’ll make it easy for you – just count the two shapes in each set, write the number 2 on the lines and color.